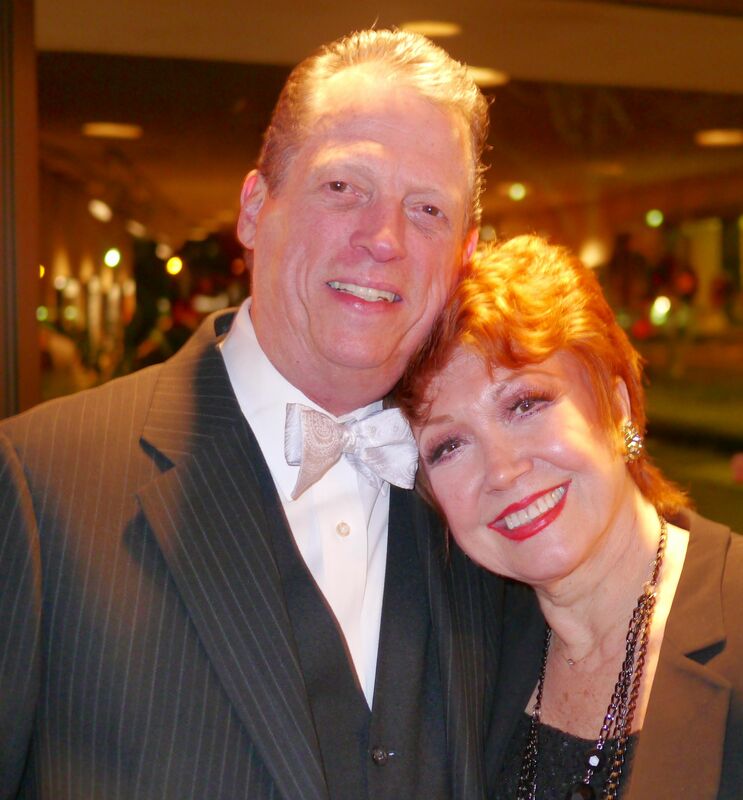 We continued our celebration of A Chorus Line with the arrival of Donna McKechnie for the opening night gala at Theatre Memphis. The role of Cassie was actually part of the life story of Donna and she originated the role on Broadway. Unfortunately, I had bronchial crude all week and really was not at my best. I got a shot Thursday in order to pull it together. Sometimes simple is just enough. Given the simplistic ACL set design I kept the table simple, as well. 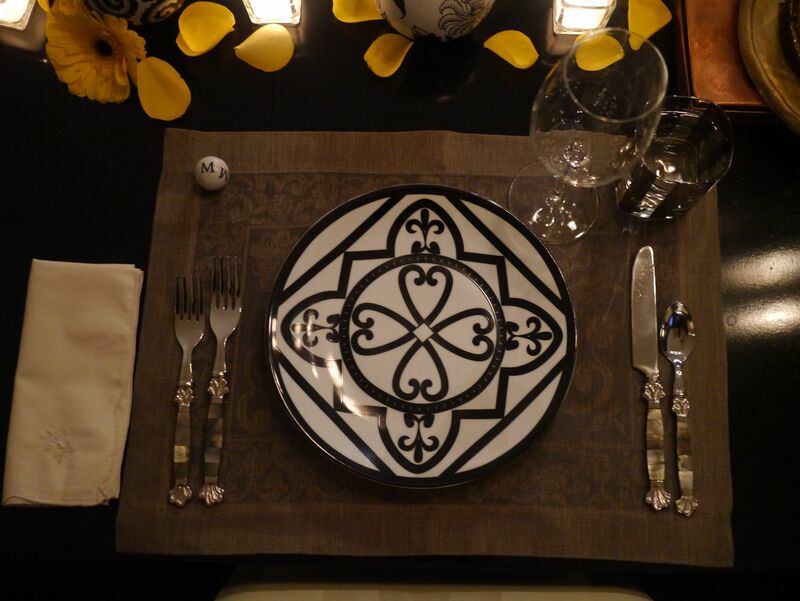 The combination of black, white and natural works nicely with a subtle porcelain initial place “card”. You’ve seen the hat in our Sunday Brunch. 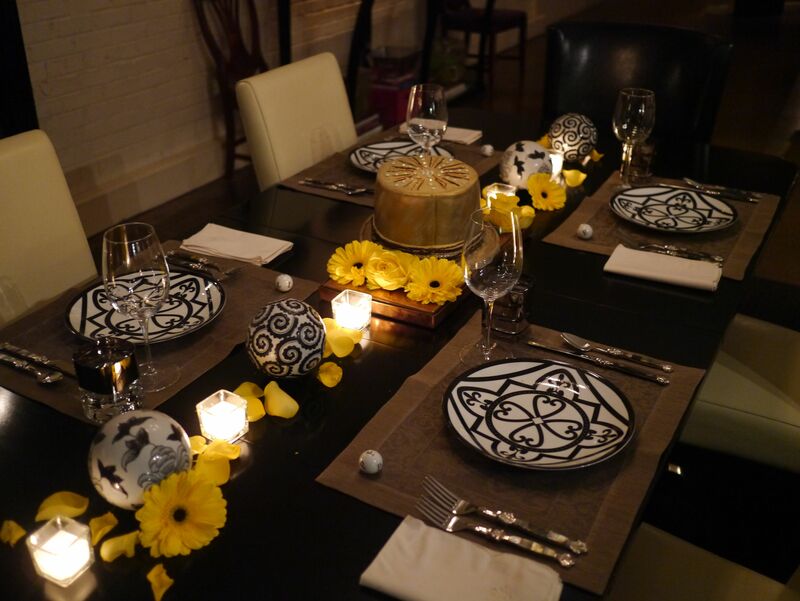 This time it was surrounded by yellow gerberas and roses with black and white decorative accents. 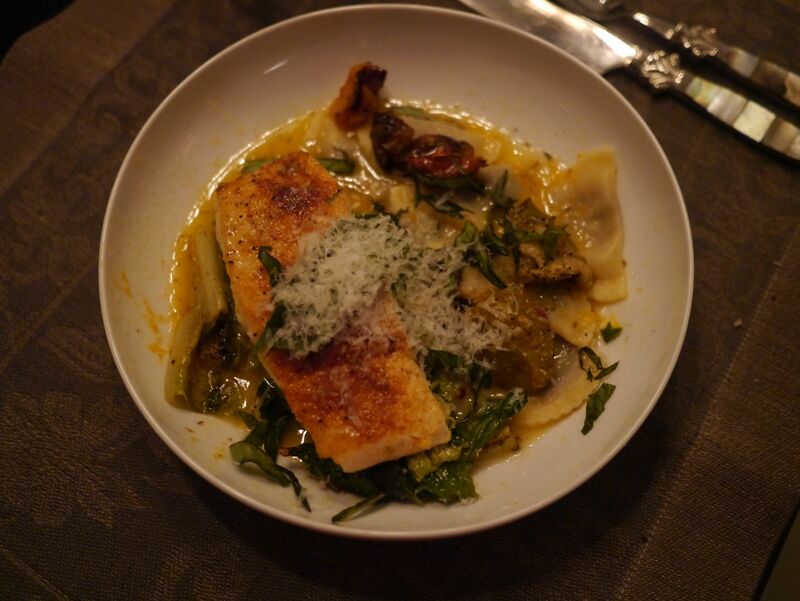 The entrée was Halibut over Braised Romaine and Porcini Mushroom Agnoletti with Oven Roasted Baby Heirloom Tomatoes and a Citrus Beurre Blanc. 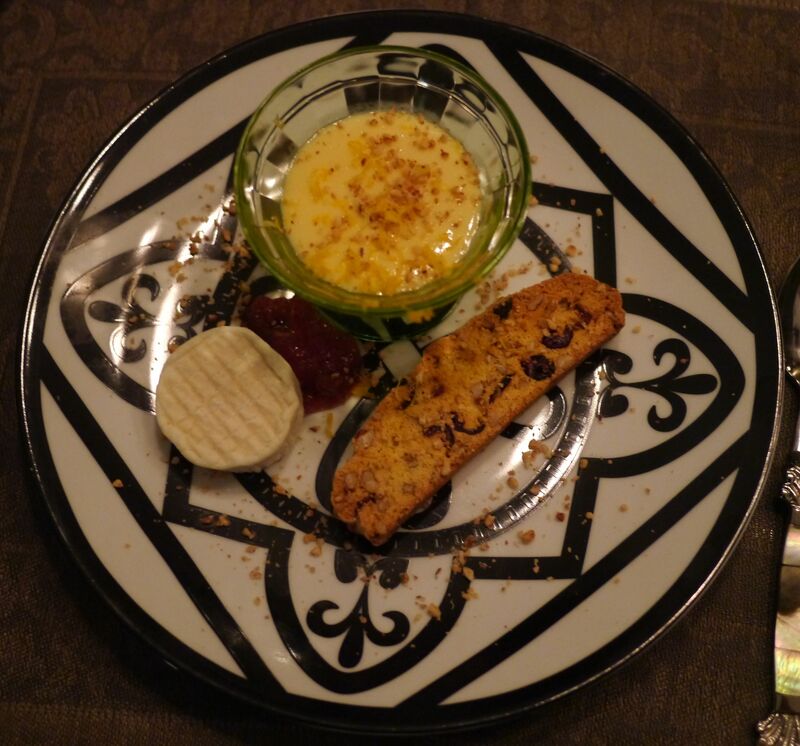 To finish the meal we enjoyed a Sweet and Cheese course of lemon curd, cranberry and almond cornmeal biscotti, bijou cheese and quince paste with roasted almond dust. Ms. McKechnie found the house to be lovely and a good time was had by all. She and Brett look so lovely, as well as the table. Simple looked scrumptious. 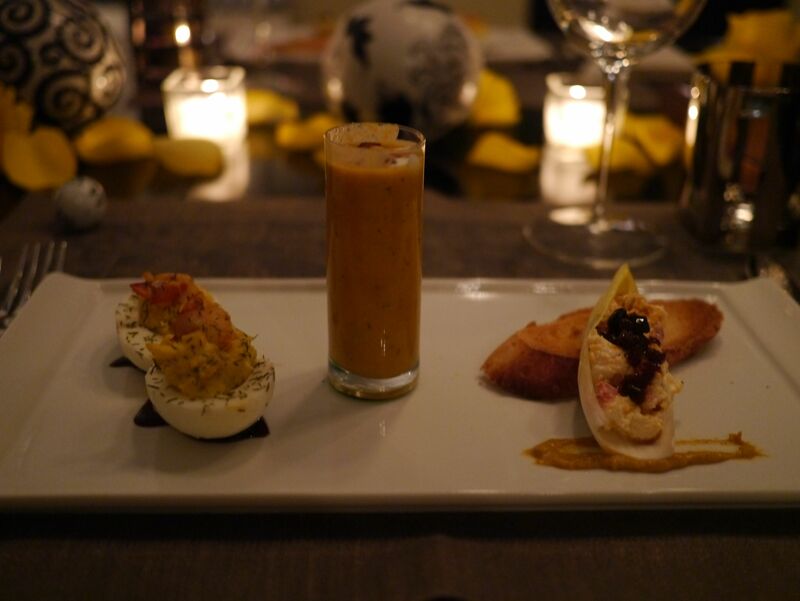 Your whole table and food looked fabulous. Next time put your handsome self in the picture, too.